The shallow depth of the tart mold allows the tart to set quickly and to release steam rapidly. The fluted sides greatly increases the crust to contents ratio while providing beautiful presentation. 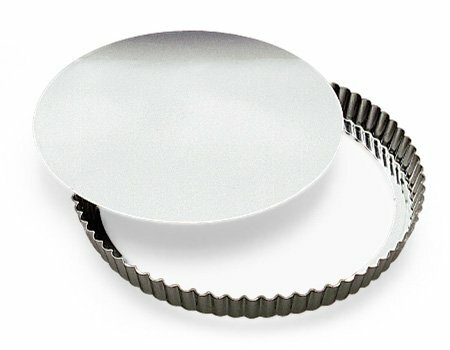 Ideal for quiche & tarts.. Removable bottom makes cutting and service simple. The tinplate construction encourages uniform baking or chilling. View More In Pie, Tart & Quiche Pans. If you have any questions about this product by SCI Scandicrafts, contact us by completing and submitting the form below. If you are looking for a specif part number, please include it with your message.